​Author Sheila Terman Cohen will give several talks (see dates at left) about and sign her new book, Jews in Wisconsin; this book is part of the ‘People of Wisconsin’ series. Unlike the other cultural groups covered in the People of Wisconsin series, the Jews who have made their home in Wisconsin are united not by a single country of origin, but by a shared history and set of religious beliefs. This diverse group found their way to America’s heartland over several centuries from Germany, Russia, and beyond, some fleeing violence and persecution, others searching for new opportunities, but all making important contributions to the fabric of this state’s history. Through detailed historical information and personal accounts, Sheila Terman Cohen brings to life the stories of their various trials and triumphs. Jews in Wisconsin details their battles against anti-Semitism, their efforts to participate in the communities they joined, and their successes at holding onto their own cultural identities. In addition to excerpts of Cohen’s many interviews with Wisconsin Jews, Jews in Wisconsin also features the compelling journals of German immigrant Louis Heller, a tradesman who established himself in Milwaukee, and Russian immigrant Azriel Kanter, who details the perilous journey his family embarked on to escape anti-Semitism in his home country and make a new life in Wisconsin. 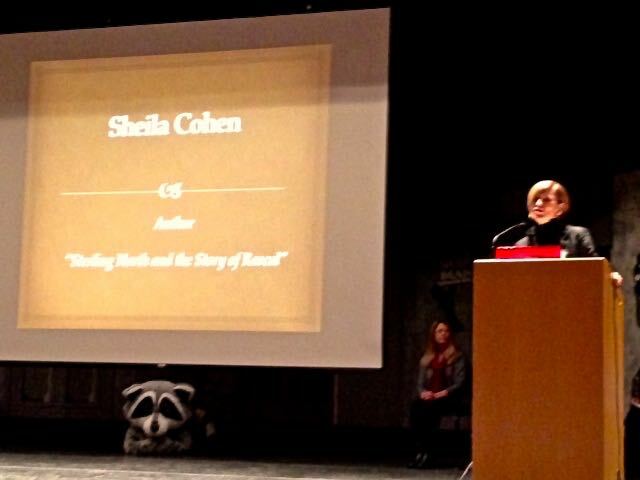 Sheila Terman Cohen has written several articles for Wisconsin newspapers, as well as award winning books. Her books include Mai Ya’s Long Journey which traces the steps of Hmong resettlement from Laos to Wisconsin during the post Vietnam War period; Gaylord Nelson Champion for our Earth, a biography of Wisconsin’s US senator and founder of Earth Day; Sterling North and the Story of Rascal about the author of the famed children’s book Rascal. Mai Ya’s Long Journey, Gaylord Nelson: Champion for Our Earth, and Sterling North and the Story of Rascal. Her books have received first place recognition from the Council of Wisconsin Writers, the Midwest Independent Publishers Association, the national book award group Next Generation and the Moonbeam Book Award. Her latest book, Jews in Wisconsin, just published by the Wisconsin State Historical Society Press shines a light on the role of Jews in the state from the 1700’s until modern times. She has lived in Madison for all of her adult life where she and her husband have raised their two children. ​Discover most histories of Wisconsin settlers in our People in Wisconsin Series! ​To receive a review copy or press release, to schedule an author event, or for more information contact the WHS Press Marketing Department: whspress@wisconsinhistory.org.